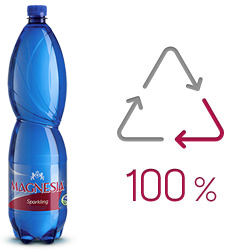 The entire bottle of Magnesia mineral water, including the lid and label, can be reused for further processing. So, after you refresh yourself and replenish your magnesium, do not forget to sort it and throw it in the yellow container. There, its new life starts and it can be turned into a fleece jacket, the thermal filling of a sleeping bag, or another bottle. To obtain maximum from our bottles, we contribute to the EKOKOM waste sorting and recycling system. Thanks to it, 7 out of 10 bottles are recycled in the Czech Republic thanks to it. Let us join our efforts and put the remaining three to use as well. Every time we create a new bottle, we consider not only its practicality and design but also its environment friendliness. That is why we have been continuously reducing the volume of PET necessary for the production of our bottles. 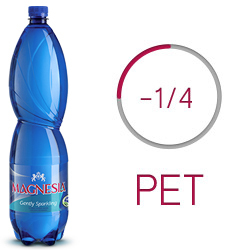 Since 2001, we have decreased the PET volume required for the manufacture of one bottle by almost a quarter, and we have also slimmed down the foil (by 40%) and the lid. For all this, we have to thank leading Czech designers who take care of the appearance of our bottles. The latest one was designed by Jan Čapek. The spring of Magnesia rises to the surface in the heart of the Slavkov Forest Protected Landscape Area, namely in the first (and most strict) zone of water source protection. The landscape around the source is undisturbed by human activity and we do all that we can to keep it that way. What does it entail (among other things)? 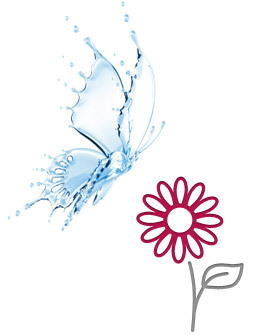 With the aid of automatic measurement stations, we continuously monitor the physical properties of the source, we check the microbiological quality and chemical content of the mineral water. We adhere to strict collection regulations to allow the natural regeneration of the source. We support the preservation of the surrounding landscape, for example, by contributing to the building of the Mnichov Serpentine Nature Trail.